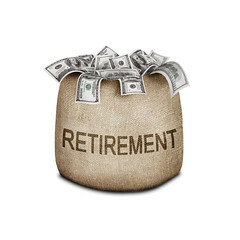 Perhaps you like the idea of stretching your retirement dollars as far as possible (who doesn’t?) and reducing your cost of living and of health care, while at the same time enriching and enhancing your quality of life, but you’re not up for learning a new language or putting up with the day-to-day challenges and frustrations of life in the developing world. Fair enough. “Going local,” as it were, in a new life overseas, isn’t for everyone. That doesn’t have to mean that you have to give up on the idea of enjoying the benefits of retiring to a new country. In a handful of places that have emerged in recent years as top expat havens, it’s possible to enjoy many of the advantages of being retired overseas without having to cross over to what could be called a “local” lifestyle. These are places where the American lifestyle has been exported and where the day-to-day living probably resembles in many ways what you left behind back home. Here are three top choices for exporting the American Dream with you when you retire overseas, three places where sizable communities of foreign, mostly American, retirees have established themselves and are rapidly expanding. Living in one of these three places, you could enjoy affordable and top-quality health care, an affordable cost of living, and the adventure of starting over somewhere new, but you wouldn’t have to learn to speak Spanish if you didn’t want to and the culture shock would be very controlled. Some 3,000 foreigners live in this colorful mountain town, and migration continues. The number of foreign residents in Boquete is expected to increase to 10,000 by 2016. In one private, gated, residential community in this region, amenities include a golf course, stables, and a small central town created specifically for foreign residents. Construction, for both the shared amenities and the individual homes, is to U.S. standards and with U.S.-style finished, fixtures, and fittings. Read More 3 Places To Live The American Retirement Dream Overseas | Kathleen Peddicord. This entry was posted in News from the Soul Brother and tagged American dream, Panama, relax, retire, Retirement, United States, work. Bookmark the permalink.